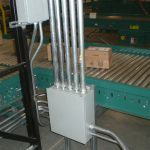 Conveyor Service & Electric offers complete engineering of electrical systems to support your conveyors. 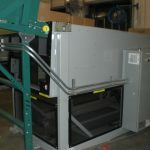 We also provide complete service and repairs as well as retrofitting and relocation of systems. 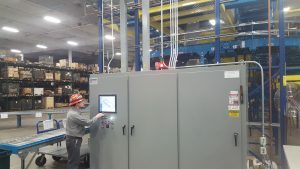 CSE can install and hardwired machinery or equipment, with Programmable Logic control (PLC). 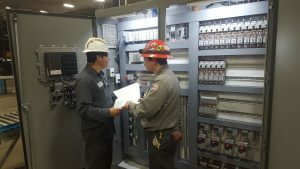 We have a great working relationship with several control contractors that can provide a variety of control systems to meet your specific need. 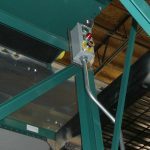 CSE can build and install UL certifiable control panels (with or without PLC) for conveyors and other machinery, equipment and robotics. CSE can upgrade your service (switch gears) to accommodate all of your needs. 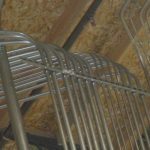 Working with your local utility provider and appropriate city planning department, we can submit engineered drawings and pull permits directly, saving you thousands of dollars on consultants, architects and general contractors. CSE can relocate or modify existing power sources or add new ones to accommodate your new machinery and equipment. 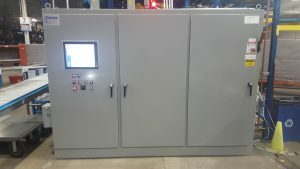 CSE is experienced in the installation of explosion proof applications of electrical motors and control as well as the requirements of clean room installation and routine service. CSE offers a variety of lighting choices for industrial applications and title 24 requirements. CSE also provides service in retrofitting energy saving fixtures in conjunction with utility rebate programs. CSE provides 24/7 full service troubleshooting and repairs completed by our journeymen electricians.